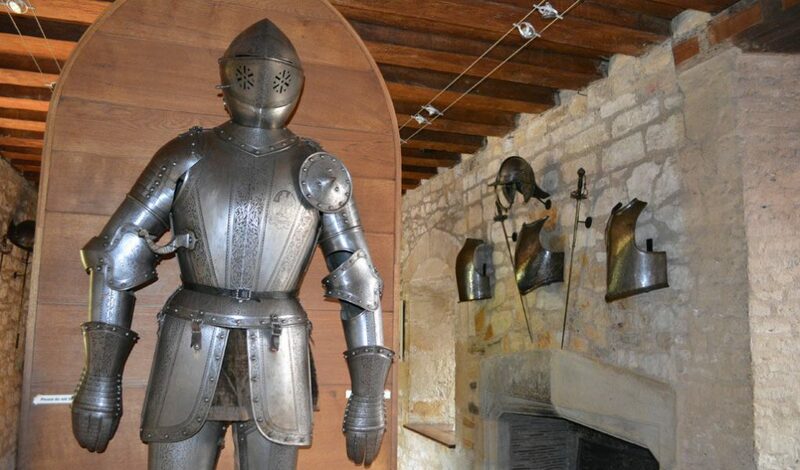 The oldest part of the Castle is the Medieval Council Chamber in the Gatehouse which dates back to the 13th century. Timber-framed Tudor additions were built in the 15th and 16th centuries by the Boleyn family and can still be seen. Yet, much of what you see today is the result of the remarkable efforts of a wealthy American, William Waldorf Astor, who used his fortune to restore and extend the Castle in the early 20th century. Astor paid great attention to detail and insisted that his workmen used, as far as possible, the same materials and tools as Tudor and Elizabethan craftsmen. The Inner Hall was the Great Kitchen in the Tudor period. 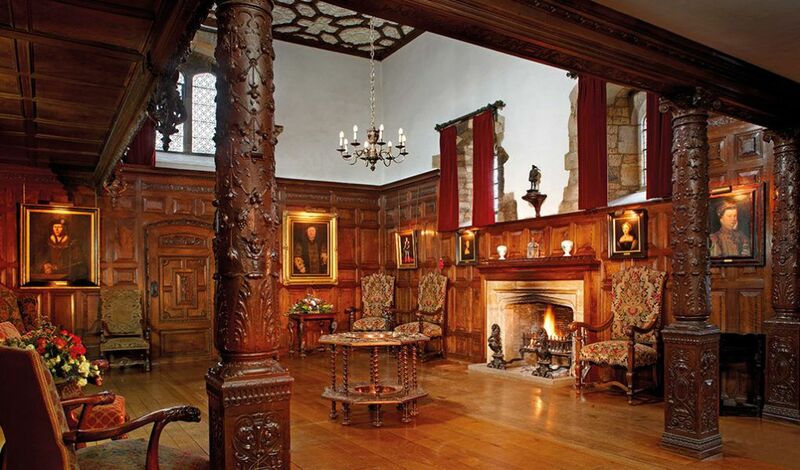 The Italian walnut panelling and columns were designed in 1905 by the sculptor William Silver Frith as part of William Waldorf Astor’s restoration of Hever Castle. The gallery above the hall was inspired by the rood screen at King’s College Chapel, Cambridge. The ceiling is in the Elizabethan style and incorporates the Tudor rose emblem. This room contained the domestic offices in the Tudor period and became the Drawing Room in 1905. It was designed and panelled by the architect Frank Loughborough Pearson for William Waldorf Astor. The oak panelling is inlaid with bog oak and holly and was inspired by the Elizabethan Inlaid Chamber at Sizergh Castle, Cumbria. In the fifteenth century this room was the Great Hall and was originally open to the roof rafters. The linenfold panelling, the ceiling and the fireplace surmounted by the Boleyn coat of arms were designed by William Silver Frith. The sculptor Nathaniel Hitch carved the Minstrels’ Gallery in 1905. 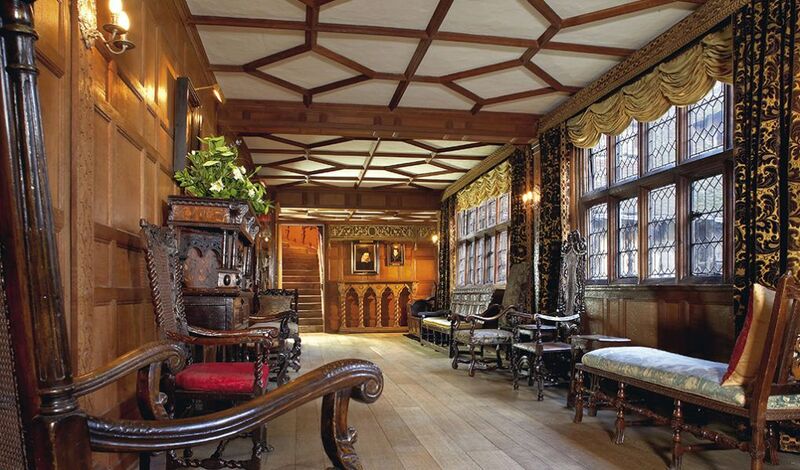 The Entrance Hall was added to the fifteenth century manor house in c.1506 by Thomas Boleyn, Anne Boleyn’s father. Original timbers can be seen in the earlier doorway, directly opposite the current entrance. This room contained the administrative offices during the Tudor period and became the Library in 1905. The sabicu wood carvings are in the style of Grinling Gibbons. The bookcases are copied from those once owned by the diarist Samuel Pepys. The portrait above the fireplace shows Johann Jakob Astor, founder of the Astor family’s fortune in the late eighteenth century. 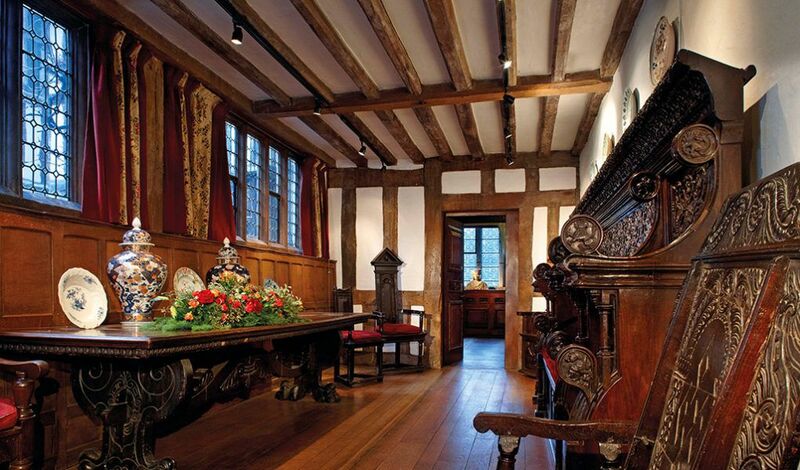 The Morning Room was a private retiring room in the Tudor period. The panelling and fireplace date to the seventeenth century. In the stone of the fireplace surround are carved the initials H.W. representing Henry Waldegrave whose family owned Hever Castle between 1557 and 1715. 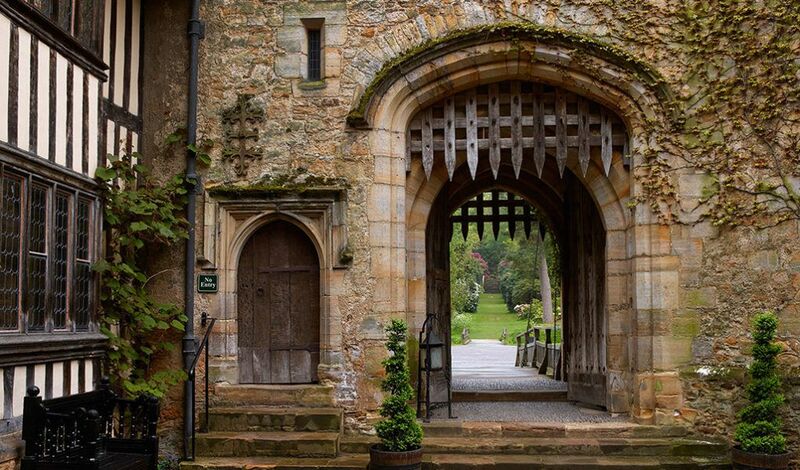 Anne Boleyn was born in 1501 and spent her childhood at Hever Castle, which had belonged to her family since 1462. This room is traditionally thought to have been her bedroom. The half-domed ceiling is an original fifteenth-century feature designed to give a feeling of greater space and light. 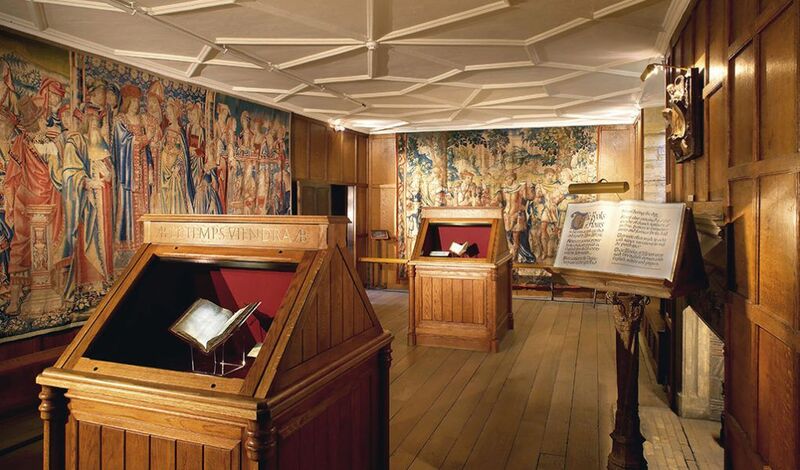 Two beautifully illuminated prayer books on display in this room belonged to Anne Boleyn. She wrote in them and they bear her signature. These personal prayer books were popular in England from the 13th century until the Reformation and earned the name ‘Book of Hours’ from the short services to the Virgin Mary which were read at eight fixed hours during the day – including Matins and Vespers. This room also now contains a newly acquired panel belonging to Anne of Cleves. 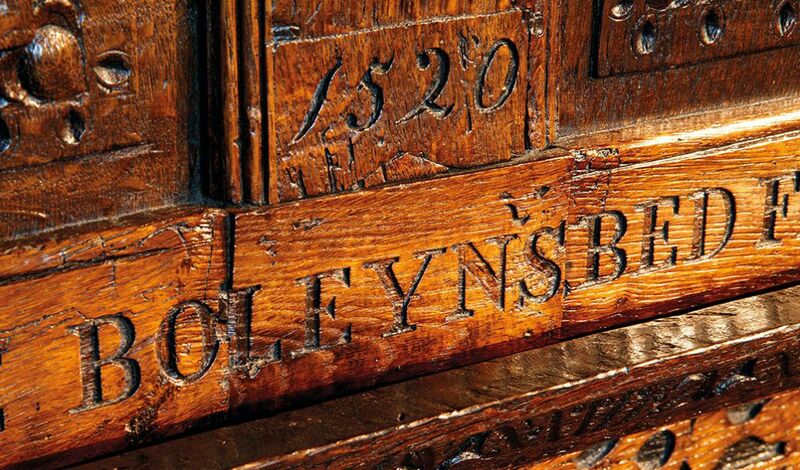 It is an exceptionally rare piece of the Tudor royal interior which went unnoticed for centuries before its existence was discovered by author Sarah Morris and historian Dr Jonathan Foyle. 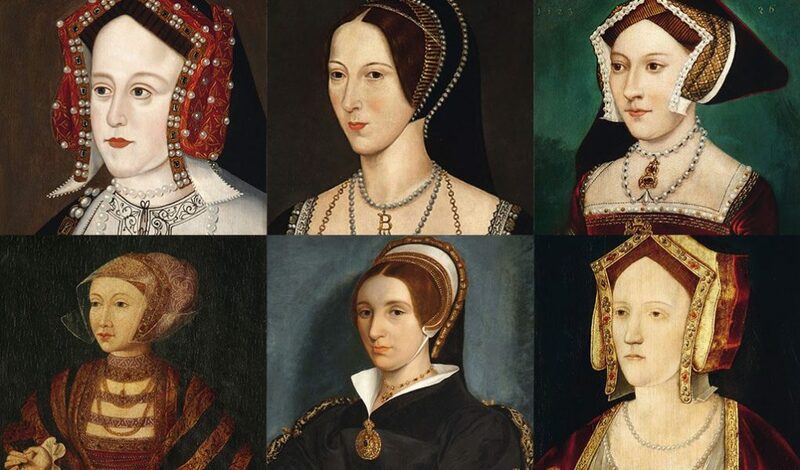 Portraits of five of Henry VIII’s wives can be seen in the Queens’ Chamber with Catherine of Aragon now in the Long Gallery as part of the permanent exhibition guest curated by David Starkey. 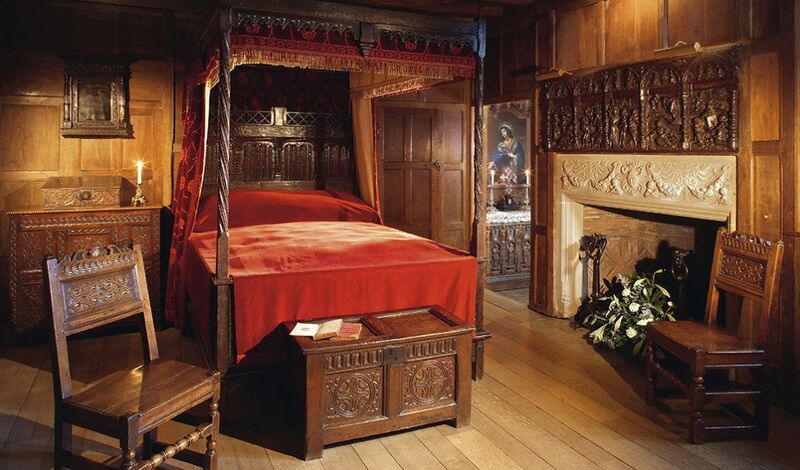 Visitors can also see the beautiful wooden bedhead which former owner William Waldorf Astor bought believing it to be part of Anne Boleyn’s bed due to the inscription. The room has now been reinstated as a bedroom. 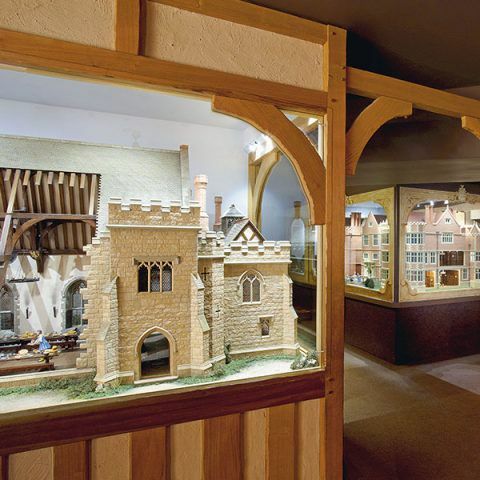 Mannequins depicting Anne Boleyn, her sister Mary and Henry are also shown in the room. The Staircase Gallery was built over the Entrance Hall in c.1506 by Thomas Boleyn to give access between the two wings of the house and his newly built Long Gallery upstairs. Here you will be able to see an extremely rare portrait of Mary, Queen of Scots in mourning. The portrait was recently discovered in France and is believed to have come from the studio of François Clouet (c.1510 –1572), a French Renaissance miniaturist and painter. It is thought that Mary wearing ‘en deuil blanc’ (in white mourning) was occasioned by the death of three close family members. It is traditionally believed that Henry VIII stayed at the Castle on several occasions during his courtship with Anne Boleyn. 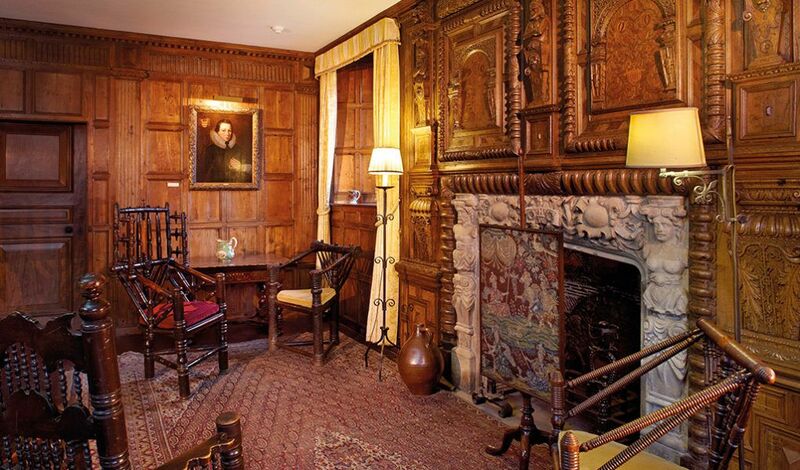 The panelling in this room, excluding the section over the fireplace, dates to the sixteenth century. The ceiling is the oldest in the Castle and dates from c.1462. 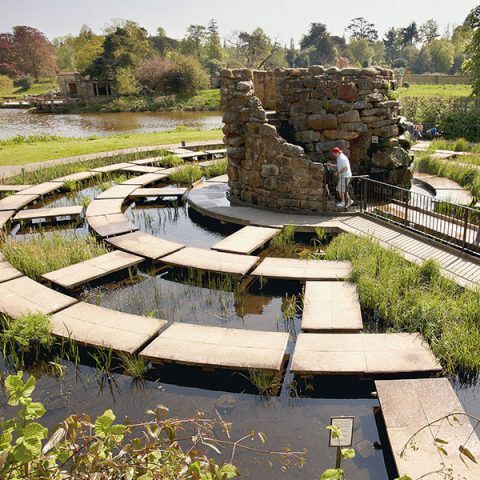 The Catholic Waldegrave family owned Hever Castle from 1557 until 1715. In 1584 the Oratory was added to this room, hidden behind panelling so Sir Edward could practice his faith in secret. Henry Waldegrave, married an illegitimate daughter of James II. When James fled to France in 1688, Henry followed him in support of the Jacobite Cause. The Long Gallery was constructed in the sixteenth century and extends across the entire width of the Castle. 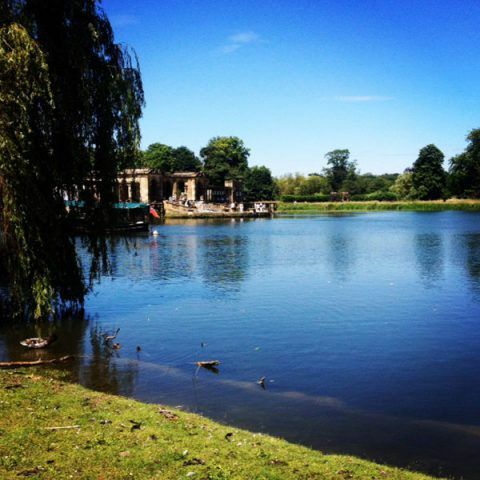 It was used for entertaining guests, taking exercise, and displaying art collections. The panelling dates from the sixteenth century. The ceiling is an early twentieth-century reconstruction in the Tudor style created by Nathaniel Hitch. The new permanent exhibition in the Long Gallery depicts the saga from the Wars of the Roses to the Reformation through its art collection. Through 18 original portraits hung in dynastic order the story of the Tudors is told starting from Henry VI and ending with Henry VIII. Read more about the exhibition. This section of the Castle is dedicated to its more recent history. 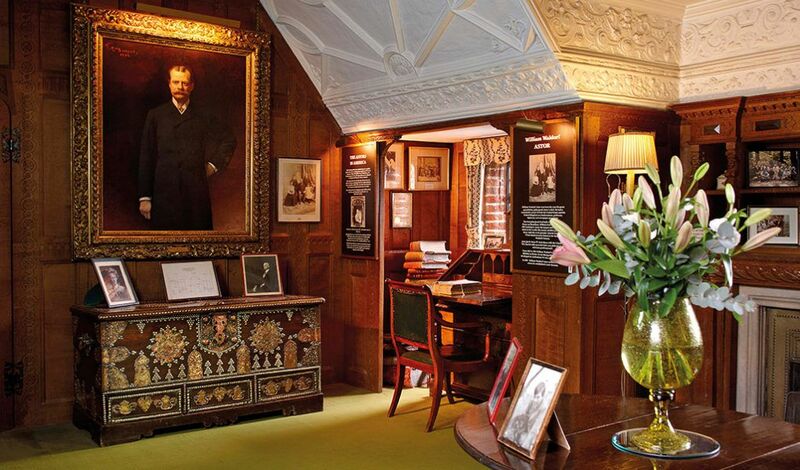 It contains pictures and memorabilia relating to the Astor family, who were the owners for 80 years from 1903. This remarkable American family was responsible for most of what visitors see today. They restored, added to and enhanced the existing rooms and then searched the world for paintings, furniture, carpets, tapestries and objets d’art worthy of furnishing and decorating their fine home. The tour of the Castle concludes in the oldest part – the Medieval Council Chamber in the Gatehouse. The first 13th-century owners of the Castle would have eaten, slept and entertained here. It also contains the garderobe, a 13th century toilet, which emptied directly into the moat. The Castle Courtyard is where the difference in age between the 13th-century Gatehouse and timber-framed Tudor additions is the most obvious. The front portcullis is said to be one of the oldest working portcullises in the country and the drawbridge was reinstated by William Waldorf Astor and can still be raised!